Obituary for Ernest Poapst | McArthur Bros. & MacNeil Funeral Home & Chapel, a division of Parker Funeral Home Ltd.
Peacefully on Tuesday, April 9, 2019 at Carefor Hospice, Cornwall Ernest Poapst at the age of 93. Beloved husband of the late Freda (Warner). Loving father of Terence (Paulette). 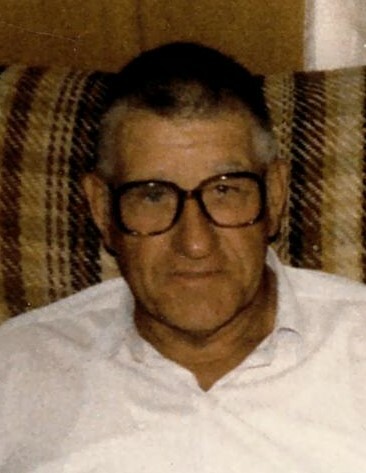 Cherished grandfather of Crystal (Jason) and great grandfather of Laiken. Dear brother of the late Richard, Mabel, Martha, Willard, Cecil and Roy. Predeceased by his parents Al and Ida (née Campbell) Poapst. Arrangements entrusted to McArthur Bros. & MacNeil Funeral Home & Chapel, 428 Second Street East, Cornwall (613 932-6300). Condolences may be left at www.mcarthurbrosfh.com.